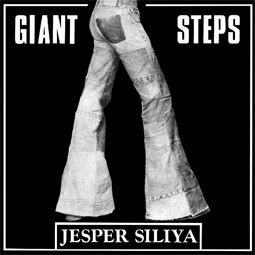 LP with CD 500 numbered / heavy sleeve / 180 gram pressing / CD with cover included This album by Jesper Siliya was released originally on the same label as Chrissy Zebby Tembo - my ancestors, which we have released as well some years ago. Jesper Siliya used to play with the Ngozi Family and most probably they play with him here. This is his sole album as a band leader, and a great one! Very catchy, simple but beautiful compositions, you'll find yourself singing those songs. Heavy fuzz-guitar all over the album. Originals are impossible to find in any condition and the prices are high. African rhythms and 70s rockish underground mood's – never too polished. A "sugar & spice" album. The music suits all fans into ZAM-Rock such as Ngozi Family, Witch and Amanaz. Fuzz guitars all over with African beats and political lyrics.